Today Lab Room Unlimited comes to tell you a story, a story entitled Jedi. Here we have a split album by the Portuguese composer/producer Paulo Fernandes AKA Room Nine Unlimited and Sacred Sound System. This album gathers his most recent tunes as well as some old tracks that have been refined and sometimes even given a new name and mixdown (6, 8 and 9). The style remains his own way to approach psychedelic music, which keeps revealing it’s wonders. A fine touch here and there makes the magic happen. The maturity also leads to better results at the end of each new production, making this perhaps the best release to date from Paulo. Artwork and masterization by Paulo Fernandes @ Lab Room Unlimited Studios, Portugal. MP3 Download | FLAC Download | WAV Download · Download count: 11,609. Awesome release! 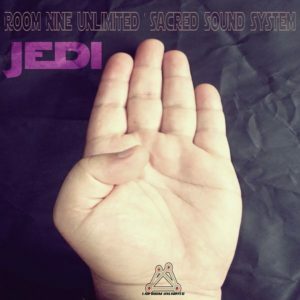 Definitely my favourite from Room Nine Unlimited/Sacred Sound Temple.